On Saturday I had a completely wonderful day in one of my favourite cities in the country, York. 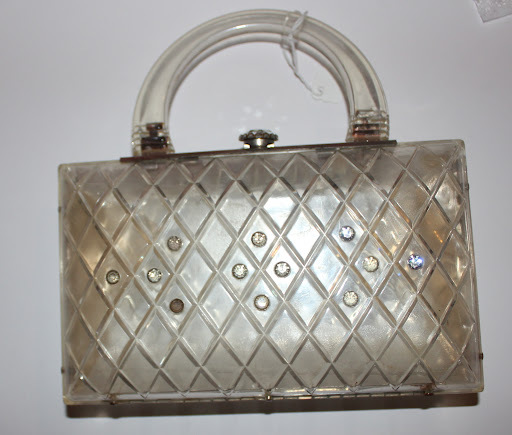 My reason for travelling up to York was for the Festival of Vintage a brilliant event organized by Keeley Harris the lady behind the Discover Vintage fairs and the Vintage Emporium shop in York. What can I say? 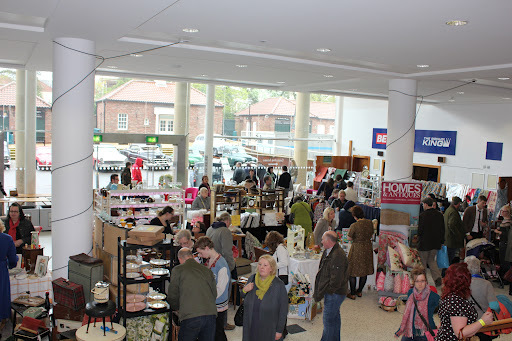 Not only did the event have some completely amazing stalls offering something for everyone (in particular lots of wonderful mid century dresses) but there was also a collectors corner, music, cars, hair and make up, talks and fashion shows. My outfit for the day was a lovely two pieces 1950s Liberty of London airforce blue grosgrain suit and 1940s Lotus suede platform shoes. 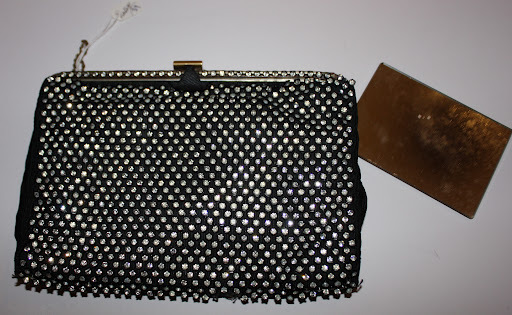 Here are just a few of the purchases I made. 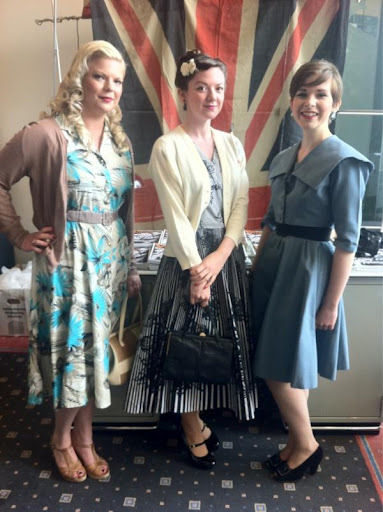 There will also be another festival of vintage happening in September at Epsom Racecourse in Surrey, details here! Sorry I have been so ridiculously quiet of late! Unfortunately this is likely to continue for the next two weeks until my final degree coursework is handed in. 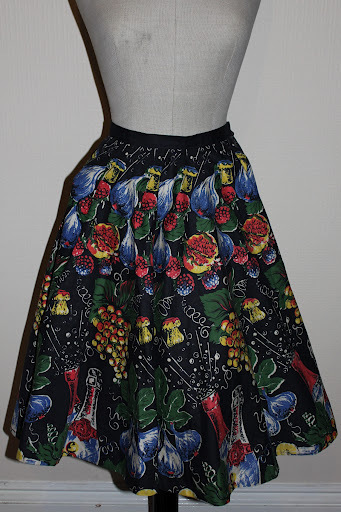 I am an absolute sucker for novelty prints. Give me something a little bit different or random and I am a happy bunny. 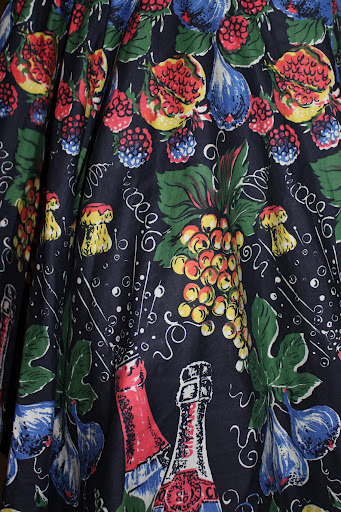 This gorgeous skirt is not exception printed all over with champagne bottles and grapes. 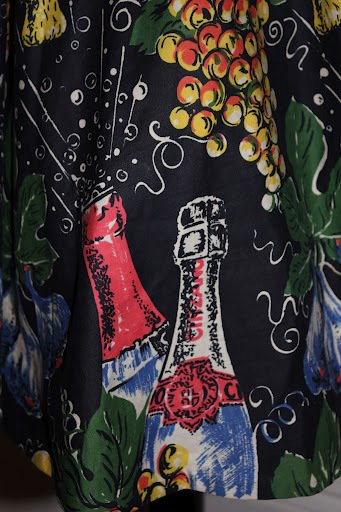 It really is a perfect skirt for someone like me who certainly enjoys a tipple! 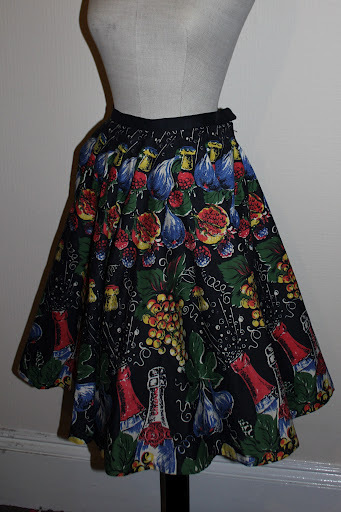 This skirt comes from the retailer Richard shops, although it has no makers label. 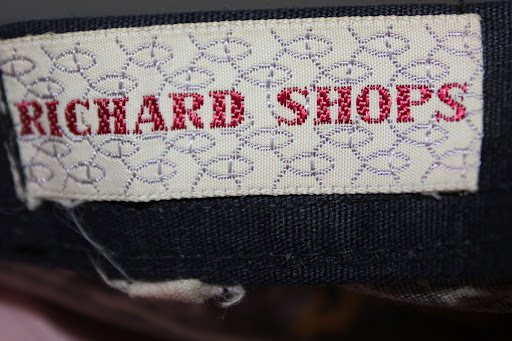 Richard shops designed their own brand garments as well as selling pieces by other companies. 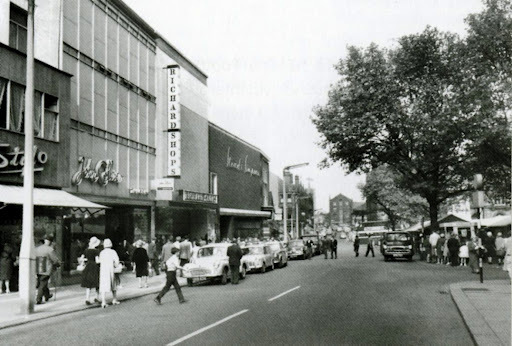 Richard shops was a well known department store with the brand first started way back in 1927 by Jack Lyons. The company finally ceased trading in 1999 after being bought out by Arcadia and most stores changed to those within the Arcadia group. 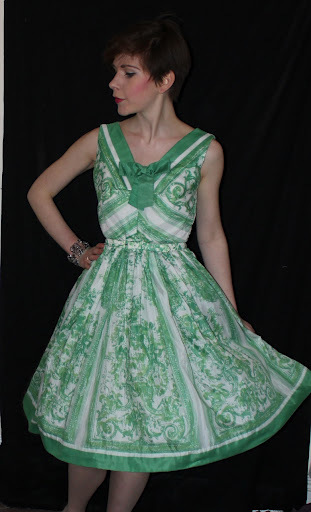 I also have a Horrockses dress with a Richard shops retailer label in it (the same label as this) which demonstrates they were one of the many department stores that stocked Horrockses dresses in the 50s. I’m actually pretty interested by Richard shops as it’s only since buying vintage that I’ve come across the department store despite the fact it was still operating in my lifetime. Was it mostly a Northern operation? And what sort of price level were they at? 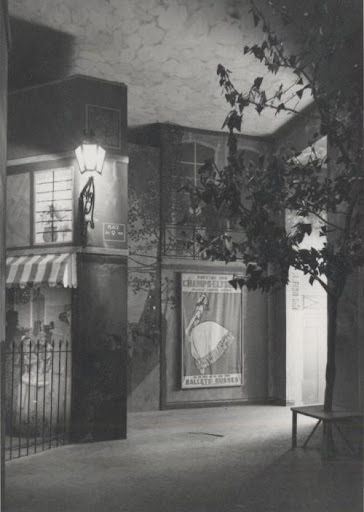 (I’m guessing due to their buy out by Allders at one point it was somewhat similar to them). Anyway I’d love to know more if anyone has any info! After my mammoth museum visiting session over the past few weeks I want to step back in time to what I believe was one of the most important exhibitions the Victoria and Albert museum ever held. 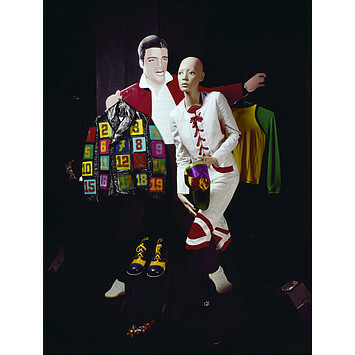 Cecil Beaton’s 1971 exhibition Fashion: An anthology. 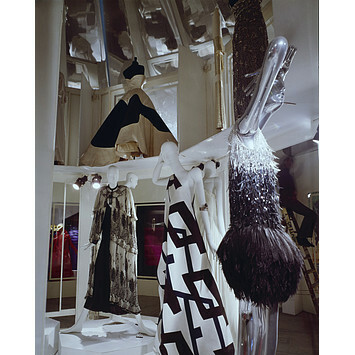 1971 (October 1971 to be precise) marked the opening of the Fashion: An Anthology exhibition at the Victoria and Albert Museum. 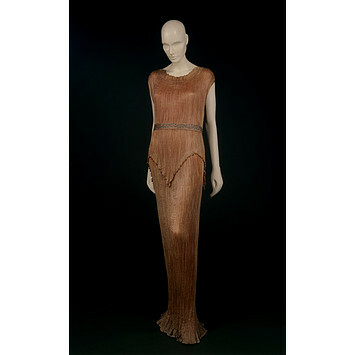 This exhibition “put fashion on the map at the V&A” and had a lot to do with the changing perception of fashion’s place within the hallowed walls of the museum. 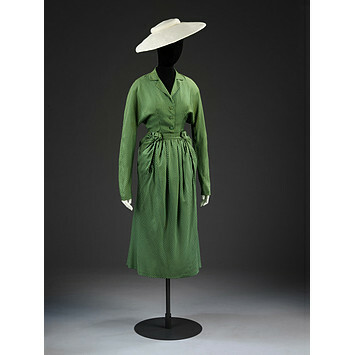 One of the many beautiful Balenciaga dresses on display at the exhibition, dating to 1959. 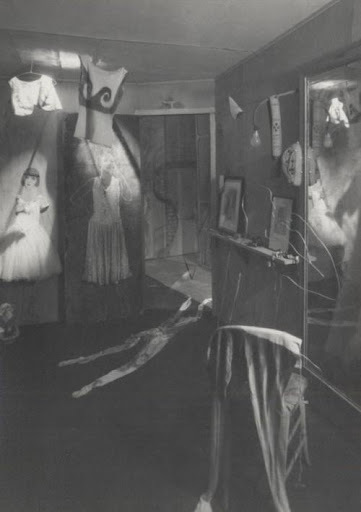 Cecil Beaton’s exhibition at the Victoria and Albert museum saw the accession of some of the most iconic pieces of dress that the V and A holds. Here are just a few of my personal favoruites. And who can forget my favourite garment OF ALL TIME. 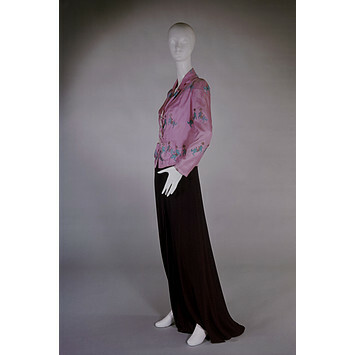 This 1938 circus collection jacket by Schiaparelli. 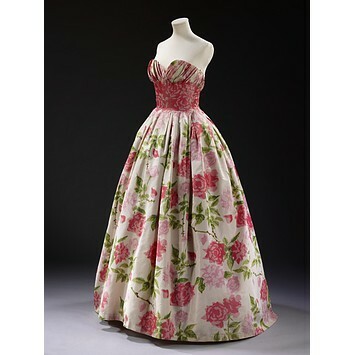 Discussions between Beaton and John Pope-Hennessy (then director of the museum) suggest the directors enthusiasm towards the exhibition and that the dresses should be exhibited as works of art, not necessarily fashion (dismissing some of the problems often associated with fashion displays). 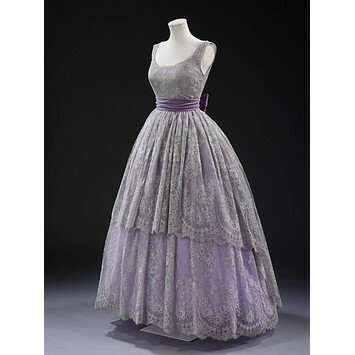 For this reason the exhibition had an elitist focus, with most pieces being haute couture. 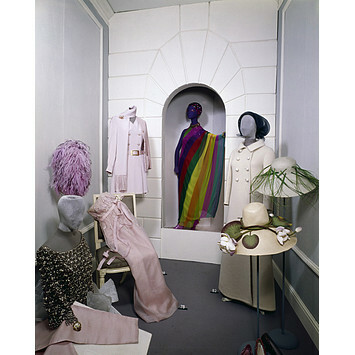 Not only were the objects on display fantastic but the exhibition display itself was also something to behold and heavily influenced later exhibition styles (I personally believe that Diana Vreeland must have been inspired at least in part by Beaton’s exhibition). 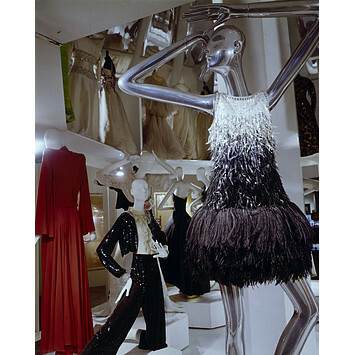 The exhibition was designed by Michael Hayes and stretched across two floors of the Victoria and Albert Museum held in a prime location, it must have certainly been a sight to behold and so unlike anything the museum had done before. 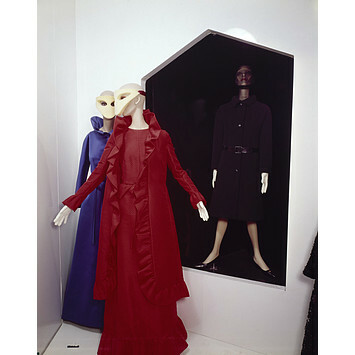 What I really love about it was that historical garments were put in a completely modern and somewhat “alien” setting. 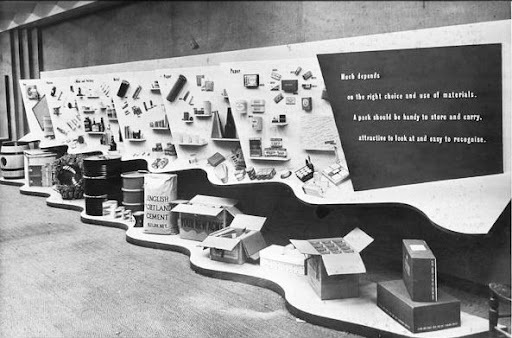 These are just a few examples of this futuristic exhibition display, which I think still looks fresh, modern and thoughtful 40 years on. 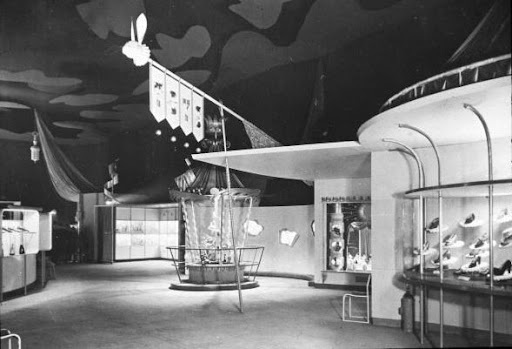 Although one thing I would say is that the popularity of this exhibition often means that earlier examples of innovative exhibition display are often ignored. 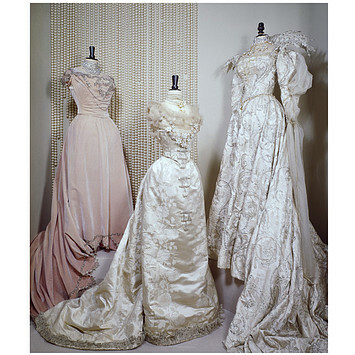 If you are interested In the topic as a whole I highly recommend looking further into the “Britain can make it’ exhibition of 1946 organised by the eponymous Horrockses director James Cleveland-Belle and also Richard Buckles 1954 exhibition of Ballet Ruses costumes at Forbes house. 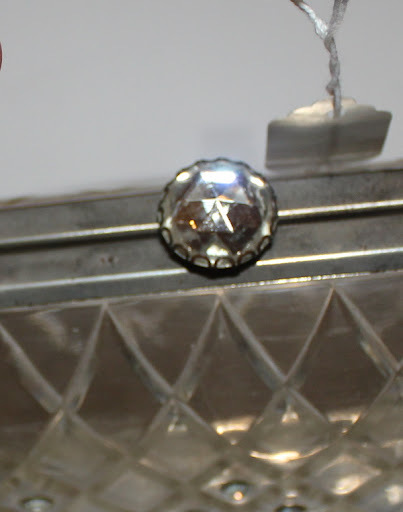 Hopefully I’ll get writing about these soon too. Or try and pick up the original exhibition guide. 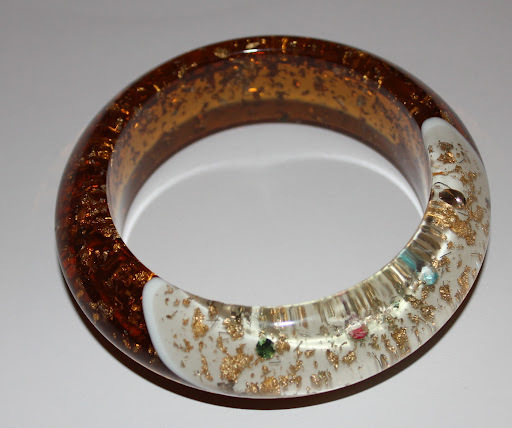 I got mine on ebay a few years ago for only a couple of pounds, and it features some truly sensational images of Marisa Berenson in items that appeared in the exhibition. 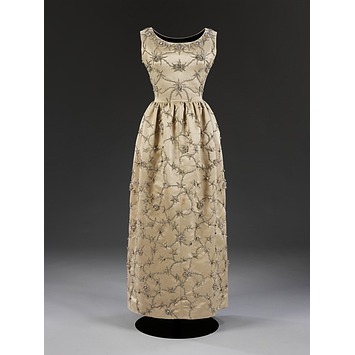 All images from the Victoria and Albert museum collections website.